As we move through life emotional injury not only any physical injuries that have occurred can be carried in our bodies. Perhaps overwork, the loss of someone close, or a situation from childhood as examples. Over time patterns of emotional stress can cause acute and chronic conditions. Illness or disease result from imbalance, though they are often perceived as random acts of bad luck, the dictionary tells us the origin of disease is the expression of a reversal of ease. The practice of acupuncture is not only one of the safest medical treatments available in the UK today, but is fast becoming one of the most popular forms of complementary therapy with over 2 million treatments now performed annually. If you have private health care check your policy, though cover may be limited acupuncture is fully or partially covered by many health insurers including BUPA. The physical and meditative components of yoga practice are more associated with non-specific health benefits, although it has been studied as an intervention therapy for conditions such as back pain, stress and depression. Contemporarily it is used as a form of prevention rather than cure, in the East traditionally acupuncture is used in the same way. Whether you seek help for a musculoskeletal injury through to more deeply rooted mental and emotional disturbance Tracey provides a safe and supportive environment where patients and students can heal. 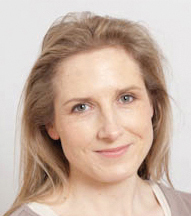 Tracey has a BSc Honours degree in acupuncture from The International College of Oriental Medicine and is a member of the British Acupuncture Council (BAcC). Also a Yoga teacher of many years, these dual disciplines guide her practice as a healthcare and bodywork practitioner. She is among a small team of volunteer acupuncturists that offer acupuncture to cancer patients, their families and hospital staff at her local hospital. 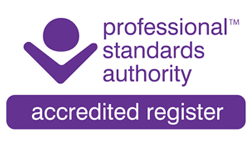 And is on the Professional Standards Authority‘s voluntary register. The register was set up by the government for the benefit of the public in order to insure their safety. Accreditation was granted to the BAcC in February 2013 demonstrating a commitment to high standards of practice, enhanced safety and delivery of a better service. A new study shows Britain is risking a back pain epidemic caused by unhealthy habits and sedentary lifestyles.